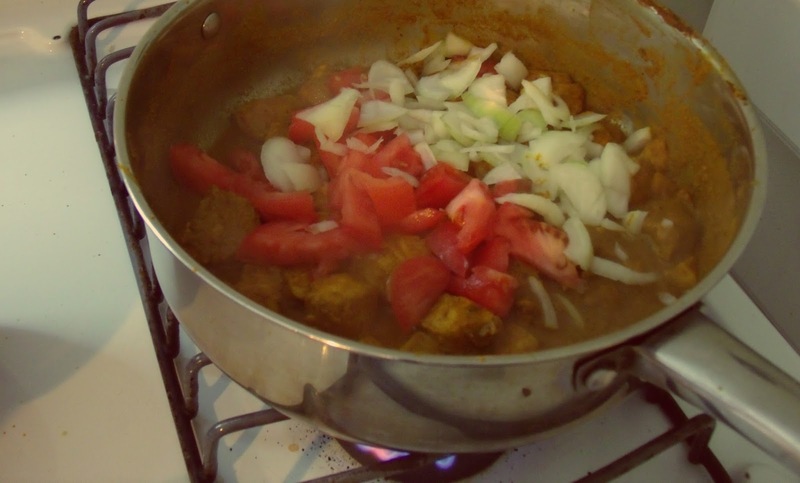 Yesterday I was in a the mood for curry and I so wanted to hit up an Indian restaurant , but due the crappy weather because of the rain…I decided to make it myself. I made curry chicken with white rice, corn on the cob and added a couple of sliced cucumber. 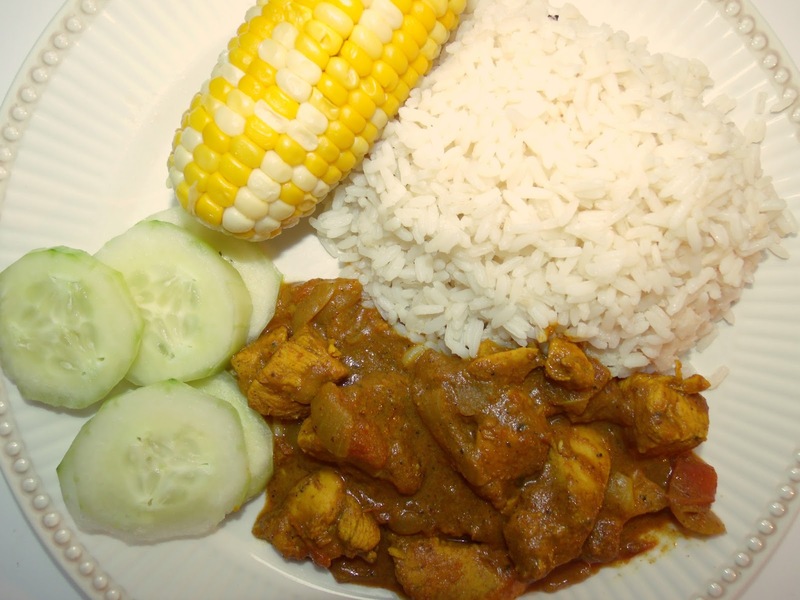 To make the curry chicken, I decide to use two types of curry. 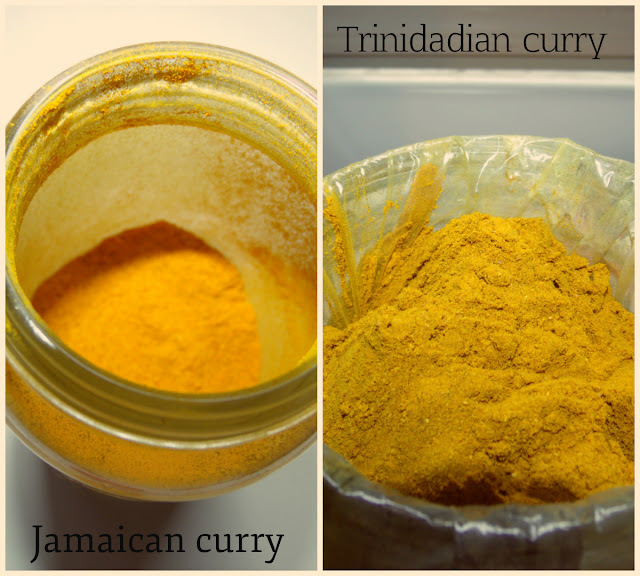 One curry was a product of Jamaica and the other was a product of Trinidad. Now, the color of the curry from Jamaica was bit more on the yellowish side and the curry from Trinidad was a bit on the golden brown side. Check the pics below for comparison. So, I started out with two pieces of boneless chicken breast and I diced them into bite size pieces. I then seasoned the pieces of chicken with a bit of Mrs Dash, a tiny bit of Adobo All Purpose and Grace Caribbean Traditions All Purpose seasoning since the both had sodium in them. 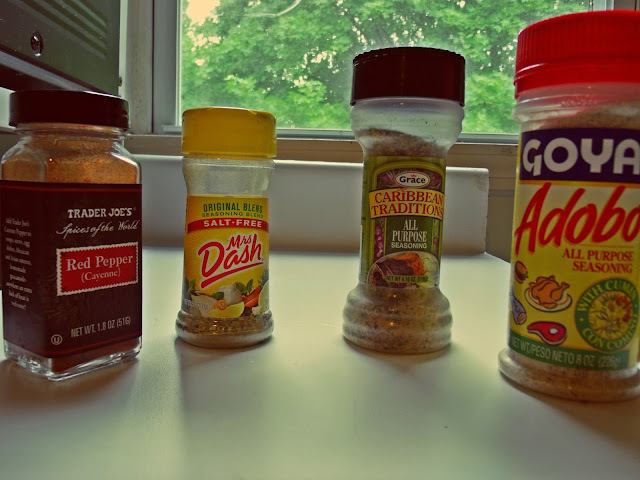 I also added a dash of Red Cayenne Pepper and added 1 ½ tbsp of Jamaican curry powder….then mixed all ingredients with the meat. When adding the Trinidadian Curry powder…you first have to what they call “burning the curry”. Due to the amount of chicken, I only needed about 3 tbsp of the curry. I mixed the 3 tbsp of the curry with hot water into a cup. 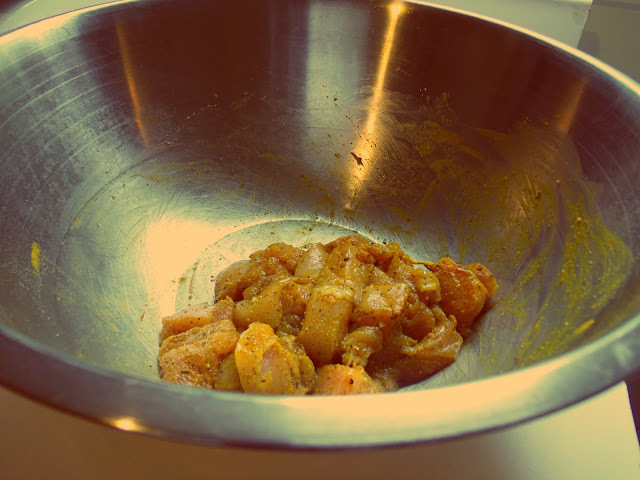 I then added 2 cloves of garlic cut in half into a heated pan and pour the mixer in…it will begin to sizzle and start to dry out into a paste (this is what is called “burning the curry”). Once the curry gets to a pasty consistency, you must have a cup of water handy to pour into the pan to “re- burn the curry”. You do this step about three times…this is just a way to make sure that the curry is properly cooked. 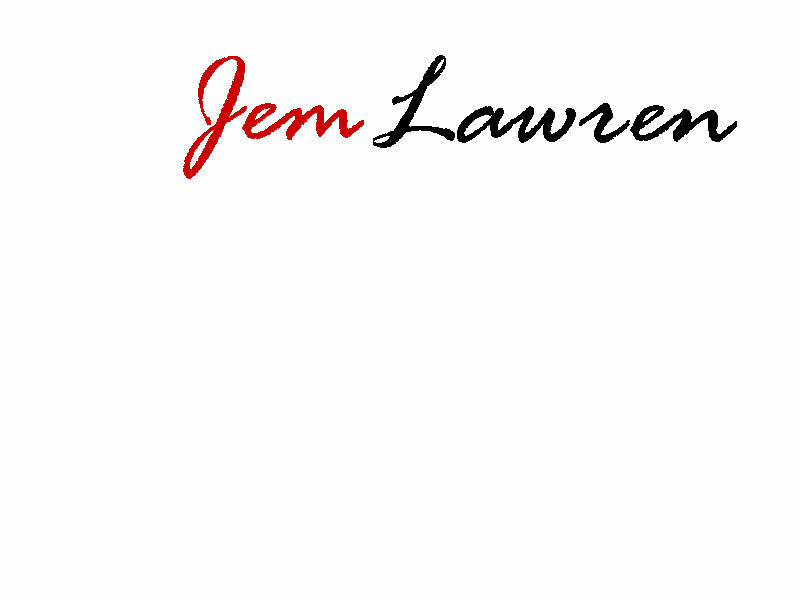 If the curry is not cooked properly…you and the toilet might spend some quality time together. After I make sure that the curry has been properly cooked, I then add my seasoned chicken to the pan. About five minutes after my chicken has been simmering into the pan I add one chopped onion and one chopped tomatoes. I let the entire ingredients cook, but I do monitor the pan closely because curry does dry out very quickly…so it’s best to have a cup of water handy to pour into the pan. FYI- the consistency of the curry sauce will be determined on the amount of water you use. So if you want more of a thin sauce then uses a bit more water…for a thicker sauce a little less.